Welcome to the Concept Karting & Racegear website. 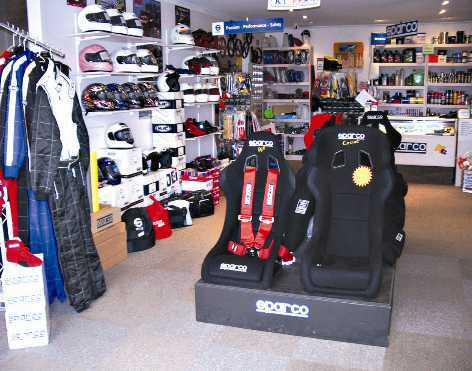 We are a specialist motorsport store stocking an extensive range of products and services for all forms of motor racing. If you race circuit, rally, speedway, karts, boats or anything else for that matter, then we have the necessary apparel and accessories for you. We specialize in the Sparco brand along with a variety of other high quality brands like HJC and ERG. The Sparco brand is recognized world wide for its leadership in quality and design and its Italian craftsmanship. For that reason Sparco sets standards which other manufacturers only hope to follow. The range of Sparco products is vast, some of which can be viewed on our web pages. For karters we also stock a comprehensive range of the world famous CRG kart chassis. These chassis’ are built in Italy under the most stringent manufacturing and technical conditions in the world of karting. Also for karters, we provide a comprehensive in-house engine and chassis repair service.